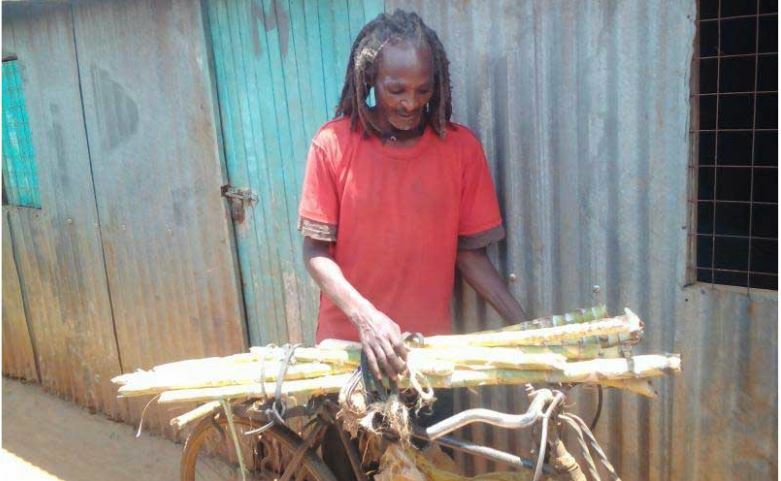 Nelson Kariuki is a 73-year-old sugarcane vendor in Ruaka who believes if he had made better decisions in life, he would now be the owner of Ruaka town. Mr Karikui has two major regrets in life: Wasting his once big fortune on women and alcohol, and his mother rejecting a marriage proposal from the late Mbiyu Koinange. Mr Koinange was the first Kenyan to earn a university degree and later became a powerful Minister of State in the government of founding President Mzee Jomo Kenyatta. He died in 1979 with his wealth estimated at Sh10 billion according to court documents related to long-running inheritance battles. Apparently, Mbiyu Koinange loved Karikui’s mother but she was more interested in a jigger infested farmer from Gatanga in Murang’a County. “My mother was born here and the adjacent land belongs to the Koinange family so one day Koinange proposed to my mother but she declined because she loved my father who hailed from Gatanga. He had jiggers but she chose him. It torments me when I imagine that I could have been Koinange’s son if she agreed to marry him. Right now I would be stinking rich!” says Kariuki. If not by being Koinange’s son, Kariuki also had the opportunity to become a tycoon by his own right through his business ventures in the early 1970s. He says had it not for women and partying, he could be the owner of Ruaka had he invested his earnings on land when an acre cost Sh200. Today, an acre in Ruaka costs millions. A young Kariuki would splash Sh100,000 on women and partying in one session back then. “I was the first man to buy a bicycle in this village in 1965. I used the bicycle to ferry goods from Nairobi to Mucatha and will never forget the day I was thrown out from the barmaid’s house when my supermarket and butchery businesses collapsed in Mucatha. She packed my clothes in a polythene bag and threw me out. I went to live in the city because of shame and many times I would eat rotten fruits in Marikiti market,” he recalls. In the 1970s, when the Kenyan pound almost equaled a British pound in value, Kariuki and possibly all his boys were ballers. The coffee business was booming and Kariku was living large. “In 1973 I was doing very well and was one of the richest men in this area. Coffee business was very profitable back then and I made a lot of money importing coffee from Uganda. There was a scarcity of coffee in the country because the coffee fields had been burnt so I saw a niche and within a couple of months money was not an issue. I would spend Sh150,000 with much ease because I was a friend of money and I felt the urge of buying nice things for women,” says Kariuki, who can’t stand women anymore. “I vowed that I will never ever spend a coin on a woman apart from my mother and wife,” said Kariuki as quoted by SDE. 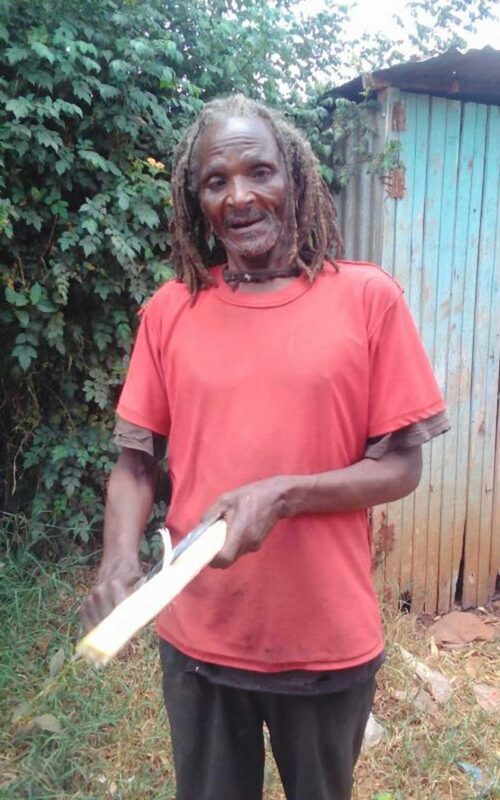 He was also able to get back on his feet thanks to his small sugarcane business and tea farm in Muranga.